Less "The Blob", more "Look Who's Talking Two". Backaches, dizziness, hemorrhoids, "Up to 50% of pregnant women get hemorrhoids" one pregnancy website cheerfully exclaims. "Leg cramps, nasal problems, shortness of breath and swelling." It continues, "constipation, heartburn and indigestion. Stretch marks, tingling and itching extremities. Sleep disturbances and weight gain." But really, wouldnt ebola be quicker? Hey, they forgot morning sickness. Or, in my case, morning / midday / evening/night sickness. Mornings not enough, eh? After a particularly bad day of nausea and constant vomiting Bonsoir Fancy Pants had a brilliant idea. "Why don't we get a mini trampoline - so you can practice shaking the baby?" It's genius I tells ya! We're about 14 weeks along now. Baby now has a gobful of creepy teethbuds and all it's wee fingers and toes. It appears to have a cracking spine and feet so cute I could just punch it in the face. I went in for my ultrasound today, the child would not sit still long enough for a proper pic but instead flipped and twirled, waved it's bony little arms around and pulled faces. It really is amazing to watch. Creepy and amazing. Next week however, we lean far more heavily on the side of creepy - we go in for an amniocentesis. Mmmm, knit me a wig and call me "Eager"... For the uninitiated an amnio consists of two parts. 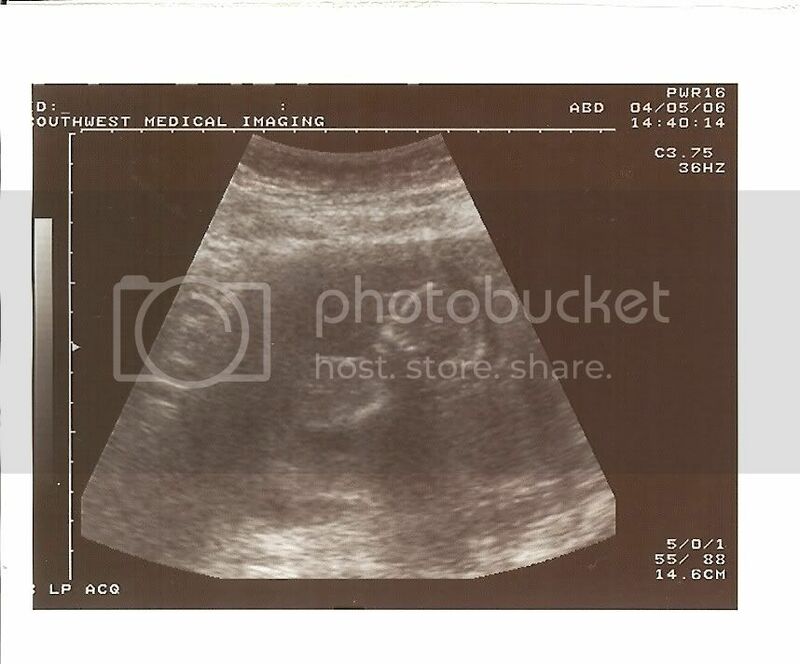 First an ultrasound tech finds the baby who is hopefully MUCH calmer than it was today... (I'll be 15 weeks by then, and therefore can surely start drinking again? I am a thinker!) once the tech has the baby lined up the doctor takes a running start from the other side of the room with a large, lance/pole vault pole type instrument. When close to the patient (ie: me!) he/she launches him/herself at me stabbing the lance/pole vault into my belly, past the ever diminishing layer of fat (dont worry, there's plenty left!) and into the amnioctic sac (the baby's indoor pool). 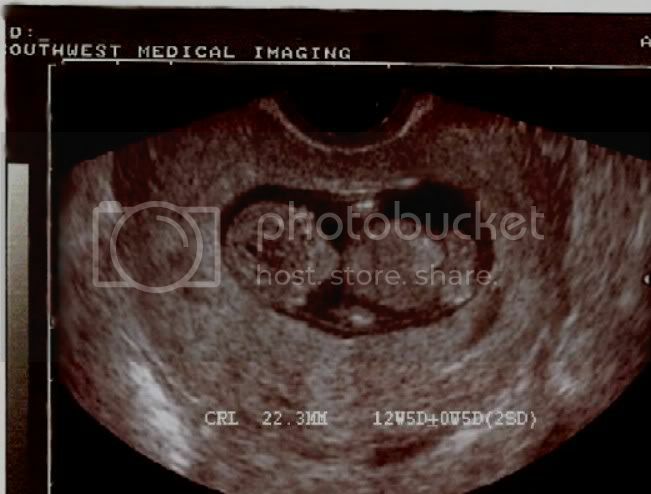 The entire procedure takes about 9 hours (30 mins) and causes little to no discomfort (to the Ultrasound tech). In other non-me related news - Sadly today we hear of the demise of Miss Itchy's favourite singer, songwriter, dance man extraordinaire. Gene Pitney. There are 24 hours to Tulsa indeed Gene, may your journey be smooth all the way to Mecca. Miss Gerda will always love you Gene Francis Alan Pitney. "She would bash rats for your Gene." RIP. Feel free to join the name game, remeber no Matthews, no Lauras. No Bland or Borings. We're looking for FUN unique names. Step right up, name a baby, win a prize! Much love to all from us all.